Problem: Mail that I receive from the official STARFLEET mailing lists are being marked as SPAM by Gmail. Solution: Filter all mails from the mailing lists as "not spam." 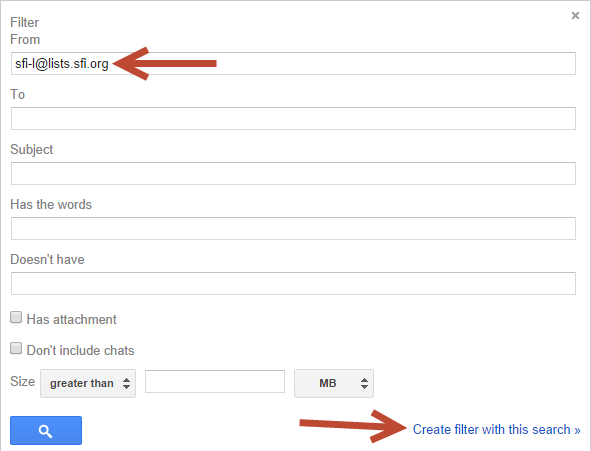 First, go to the Settings using the Gmail Web Interface (http://gmail.com) for your account. If you use multiple accounts, you will need to login to each account separately to effect this change. At the bottom of this section is a link to "Create a new filter." Please click on this link to activate the Filter creation screen. Make sure that you put a check or tick in the box next to "Never send it to Spam" and also make sure to apply to any conversations in your Inbox. 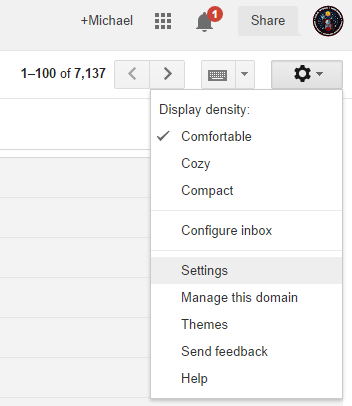 Now, this will not affect any messages in your Spam or Trash folders. 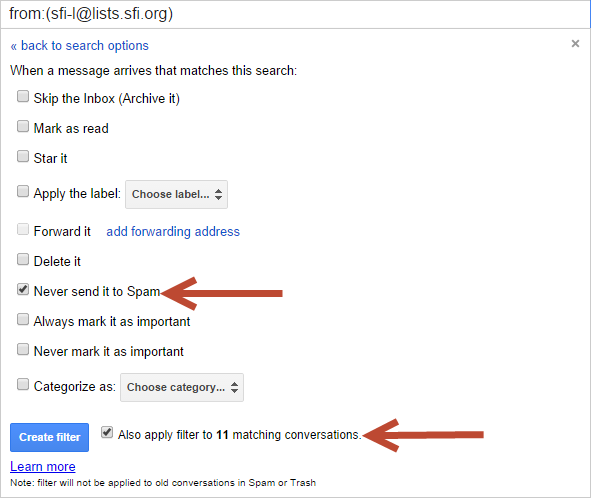 You will need to run a search for sfi-l@lists.sfi.org in your Spam/Trash folders to move them to your Inbox manually.